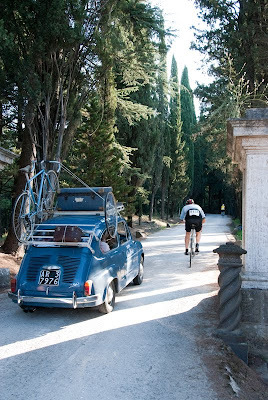 Registration for L'Eroica, being held 3 October, 2010, opens tomorrow on February 1st. 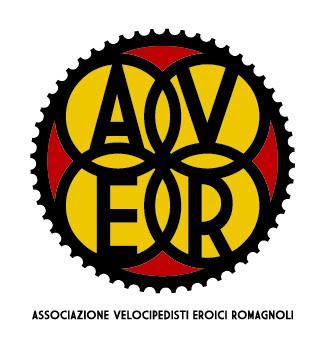 If the term L'Eroica is new to you this is how it's described by the organizers, "L'EROICA" is a period cyclotouristic rally held mainly on gravel roads, organized since 1997. It is a special "race" from every point of view. It proposes surroundings and scenes from the "heroic" times of cycling: dust or mud, no organized service, vintage refreshments, wonderful and demanding roads, great ability to adapt and to suffer. We search for the authentic roots of the awesome popularity of that cycling world made by the giants of the roads, which created so much literary legends." Stories for the Italian Cycling Journal about rides, granfondo, having a good time cycling in Italy, Italian cycling history, etc. are very welcome. Contact me at veronaman@gmail.com. There are more than 1,200 stories in this blog. The search feature to the right works best for finding subjects in the blog and there is also a translate button at the bottom so you can translate each page. Tire manufacturer Vittoria has announced a reorganization of its management structure. In a statement, current CEO and founder Rudi Campagne said: “I am reaching the age in which all daily operational issues need to be passed on to the younger generation in order to ensure a gradual and proper transfer of assignments and responsibilities.” As of January 1, 2010 Giovanni Mazzola was been appointed Chief Operation Officer and Managing Director of the Vittoria Group. Rudi Campagne was one of the four investors who bought Vittoria S.p.A in 1988. He created a new company called Vittoria Industries Ltd. by a complete restructuring of the Italian company into an international operation. 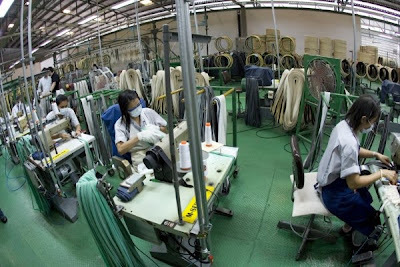 In this process the Italian production was transferred to a newly created factory called Lion Tyres (Thailand), today considered as one of the best tire factories in the world. Go here to see a video of how a Vittoria tubular is made at the Thailand factory. What's Going On With GIOS? This year represents a new milestone and turning point for the "Blue Bikes brand" as Alfredo signs a strategic agreement with a Top Japanese Company in order to strengthen and spread even more the presence of the GIOS brand worldwide: new innovative models 100% styled and designed in Italy with the logistical and commercial support of a new Osaka based international sales office. From this new joint-venture the GIOS of the 21st century is born in order to serve even more and better than before all the needs of the nowadays consumers worldwide. Keep yourself posted on all the latest news about your favourite brand at www.gios.it or feel free to ask for more information by sending us an e-mail." 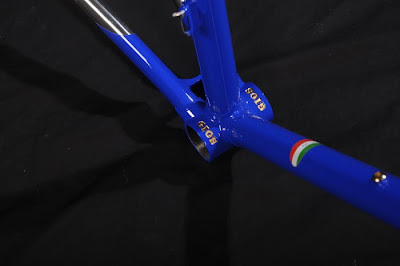 Given that, it appears that there is a move to build GIOS bikes in Japan. 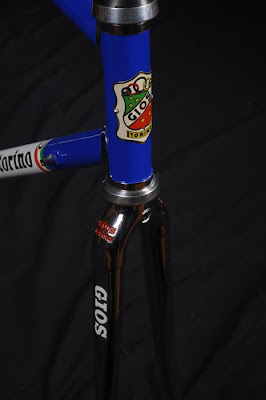 The "Original GIOS Torino", http://www.giostorino.it/, proclaiming "the true steel frames made in Italy." 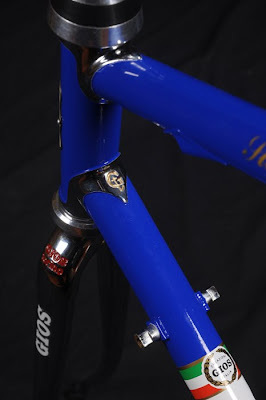 Shown, and appearing int he photographs above, is the most well-known GIOS frame, the Super Record Strada with the Gt logo that was created by Aldo Gios in 1973 fro Team Brooklyn. 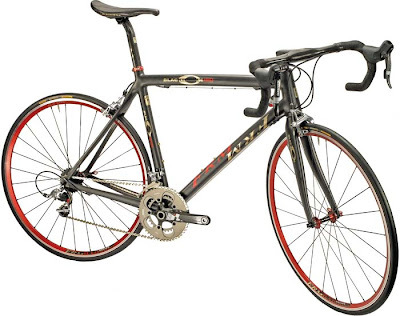 There is also a Super Record Pista model plus Ti, Alu and Alu/Carbon models. 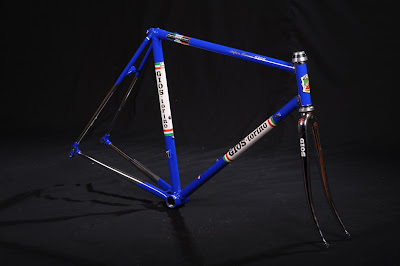 The site also says, "Aldo and Marco Gios wait for you in order to present the new collection of frames and bicycles that have made cycling history." GIOS Flickr Group, "Tante vittorie, un solo colore: Blu Gios!" Teams participating in the race: Liquigas-Doimo, Acqua&Sapone-Mokambo, Isd-Neri, Colnago-Csf Inox, Ceramica Flaminia, Androni Giocattoli-Diquigiovanni, Carmiooro-Ngc, De Rosa-Stac Plastic, Voralberg-Corratec, Amore & Vita-Conad, Miche, CdC-Cavaliere, Loborica, Nippo, Meridiana-Kamen and Obrazi-Velo Revi. 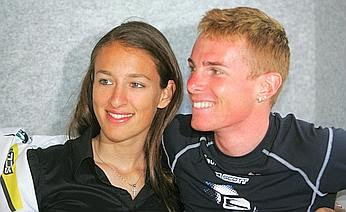 Vania Rossi, professional cyclocross racer and companion of banned cyclist Riccardo Riccò, has tested positive for CERA, the same substance Riccò was found to have used at the 2008 Tour de France. The positive is from January 10th when Rossi (Centro Sportivo Esercito) raced in the Italian national cyclocross championship (Campionato Italiano di Ciclocross) where she finished second. Riccò and Rossi had a baby within the last few months. 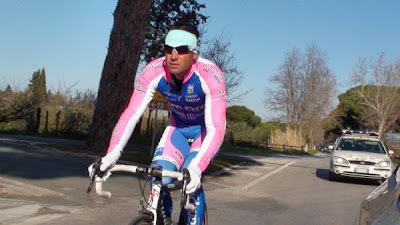 Riccò, whose ban ends on March 19, 2010, is now on the Flaminia-Bossini team. He was interviewed last week by the Gazzetta dello Sport in an article entitled, "Riccò, loved and hated". Riccò says in the interview, "I have been in purgatory, everyone is given a second chance." To which a fan commented, "A second chance?! For him it's the third chance, remember he was banned as a dilettante also...he's doped his whole life!". With his life companion now testing positive for the same substance we should be waking up tomorrow, and the weeks ahead, to some interesting stories. - arrival in Sanremo, Lungomare Italo Calvino." 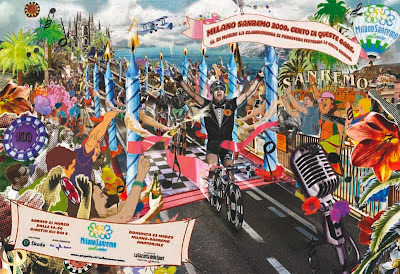 Photo: The 100th Milan-Sanremo was raced last year. Illustrator James Dawe created surrealistic world in the artwork that was used in publicizing the event. Milan, represented by the Duomo in the background is connected by a roadway lined with candles to Sanremo by the sea. The colorful crowd is cheering the tuxedo wearing riders as two seagulls support a banner proclaiming the 100th anniversary of the race. 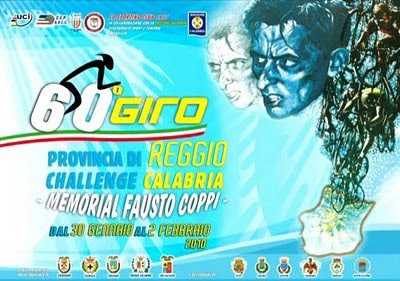 The 2010 Granfondo Gianni Motta Citta' di Vicenza will be held on Sunday, May 16th. Gianni Motta's main victories as a professional rider include the Giro d'Italia (1966), a Giro di Lombardia (1964), a Tour de Suisse (1967) and two Tour de Romandie (1966, 1971). In addition, Motta was 3rd in the 1965 Tour de France behind Felice Gimondi of Italy and Raymond Pouilor of France. Personally, I'm terrible about the analytics as they relate to cycling. I'm more of a just go out and ride kind of guy. No HRM, no computer, no Garmin, no Powertap, etc. Nevertheless, I was curious to see what I could find out about how significant weight loss is and found http://www.analyticcycling.com/ where you can find modeling tools to determine all kinds of things. Less weight going up a slope means faster times. How much faster? Suppose one is considering buying a new, light-weight frame or going on a diet. What is the benefit from having less weight? How much time would be saved over a given distance on a specified slope? How much more distance would be covered in a given time? Two riders, identical except that one has less weight than the other, ride a given distance up a hill. The the calculation gives the distance and time between the riders as the lightest rider reaches the given distance. The plot shows the benefit from less weight when riding up a hill. The range of the plot is from -10% to +10% grade and from 0 to 5 kg less weight. The table gives specific values for the given speed. Note that large changes may produce mathematical results, but may not have real-world meaning. Keep changes small. "Negative values for improvements" show that weight is an advantage going down a hill. The plot shows that weight is more of a penalty going up hill than an advantage going down. Wow, those seconds can add up fast on the very long climbs in Italy! Traveling in the South of France in recent weeks, João Correia, a former Manhattan publishing executive who shed 60 pounds in recent years, found temptation everywhere: oven-fresh baguettes dabbed in oozy Camembert, sugary tartes Tatin. A morning pain au chocolat, washed down with a rich café au lait? Off limits. “Oatmeal and black coffee is the ticket,” he said. Even in France. Talk about willpower. But Mr. Correia, with his wiry 145-pound physique, is not a walking testimonial for the latest fad diet. Rather, he arrived in Europe this month as a new member of Cervélo TestTeam, one of 25 men on a top professional European cycling team. A former professional cyclist who last raced at age 21, he left the sport for a desk job and, over a decade, ballooned toward the weight of two professional cyclists. Now, at 34, he is back, at an age when many riders are ready to retire. He hopes to compete in the Giro d’Italia or the Tour de France in coming years. As an athletic achievement, it is remarkable, said John Eustice, a TV cycling commentator, tour promoter and former professional rider. “It’s like a high school football star quitting the game, going into business and all of a sudden finding himself back in the N.F.L. in his 30s,” he said. As an odyssey in personal fitness, Mr. Correia’s comeback is no small achievement, either, given that for most of his adult life, his appetite for pasta outpaced his appetite for victory. To understand how he got back into racing shape, it helps to understand how he fell so far out of it in the first place. Mr. Correia had raced bikes since he was a child in his native Portugal, and he continued to rise in the amateur ranks after his family moved to Sleepy Hollow, N.Y., when he was 11. During his teens, he juggled high school in Sleepy Hollow with racing for teams in France and the Netherlands. Cycling always took precedence. After promising finishes in the junior world championships, he joined a professional team in Portugal in 1995 and enrolled at Fordham University in New York. He threw his energy into school and quit cycling. After graduation, he started a career in publishing and eventually landed at the Hearst Corporation, handling Italian fashion accounts for Esquire magazine. There, his old taste for the physical extremes exerted itself in new ways. Eventually, his weight topped out at 205 pounds. But when he took a job as associate publisher of Bicycling magazine in 2004, he found himself riding with clients on the weekends — and embarrassing himself. People who used to know him as a top rider on the circuit could not believe he was the same person. In 2006, he was riding in a recreational race in Italy with a client, who noticed his strong technique and asked if he had ever raced. After Mr. Correia recounted his former glories, the client urged him to give it one more shot. Inspired, Mr. Correia contacted a cycling trainer in Salt Lake City, Dr. Massimo Testa, and flew out to visit. He told Dr. Testa he wanted to get back in shape in time to compete in the Portuguese national championships in less than a year. Dr. Testa, he said, was dubious. “My first test, I had something like 23 percent body fat,” said Mr. Correia, who is now at 8 percent and aims for less than 6. Mr. Correia also started seeing a nutritionist, who set up a low-fat, high-protein diet, like spaghetti Bolognese with turkey, not ground beef. On Dr. Testa’s orders, Mr. Correia began nightly training sessions riding from his apartment in Brooklyn Heights to Central Park, where he would do intervals — measured bursts of specific exercises on the bike — for at least two hours around the park’s loop. Twice a week, he would ride across the George Washington Bridge to train on hills. On weekends, he rode five hours or more in Westchester County. In 2007, Mr. Correia did enter the Portuguese nationals and came in 12th in the time trials — not bad, considering he was up against professionals who had not taken a decade off to eat. In 2008, he joined an American team, Bissell Pro Cycling, and last fall, Gérard Vroomen, an owner of Cervélo, invited him to join. 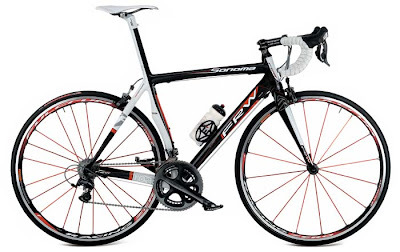 The team, sponsored by the Canadian bike manufacturer Cervélo, was ranked No. 1 in the world in June and is now seventh. Mr. Correia admits that quitting his day job for competitive cycling was not easy. The job requires him to be out of the country for 260 days a year, which is hard on his wife, Tiiu McGuire, who works in marketing at The New York Times, and two young children. Before and after photos of Mr. Correia here. 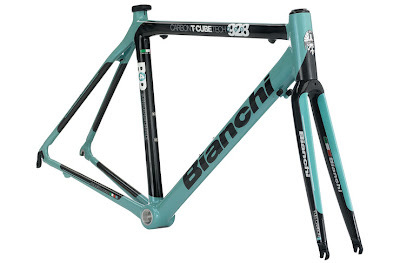 Have you ever wondered if there was a significance to the "928" designations in the Bianchi models? There is! 1949, 1952, 1998: these are the years in which Bianchi won both the Giro and the Tour. Fausto Coppi won both races in 1949 and 1952 as did Marco Pantani in 1998. For the first time in eight years, Australian Cadel Evans will contest the Giro d'Italia, and he's going there to get results. Racing this season with the Professional Continental team BMC Racing Team, Evans is still awaiting word that the team has gained an invitation to any Grand Tour, but is planning his season around both the Giro and the Tour de France. Speaking at the team's camp in Agoura Hills, California, Evans said that racing back-to-back Grand Tours has served him well in the past - in 2007 he took second in the Tour de France to Alberto Contador then turned around and just missed the podium at the Vuelta a Espana by a slim 10 seconds. Last year, he had his "worst Tour de France ever", but then placed third in the Vuelta and followed that up with a win in the International Cycling Union (UCI) World Road Championships. The Giro-Tour double, Evans said, is not "completely unconventional thinking in an approach to the Tour. It fits in well with the new team and fits in well with what I'd like to do this year". Evans has carried his strong late-season form through the winter, and has already come out swinging in the Tour Down Under. His ferocious attack on the Willunga stage not only put the rainbow bands center stage, but also showed a new Cadel Evans: one who seems more relaxed, confident and ready to race more aggressively than ever before. He credits the change more to his new team than his success in Mendrisio, Switzerland last fall. "Everything has fallen into place in the off-season, the season started off well, and I hope it's a sign of things to come. A new team, no motivation - it puts me in a good mindset for sure. I'm really looking forward to 2010," he said. His preparation for the Giro d'Italia is still contingent on the team being invited to certain races, but he hopes to race Tirreno-Adriatico, Criterium International and the Ardennes Classics La Flèche Wallonne and Liège - Bastogne - Liège. "I brought everything forward a bit compared to the past when I've been going for the Tour de France,” he said. “I've always tried to be good for April so in that respect it's not going to change that much." Coming right before the final stage, a time trial in Verona, the Gavia stage is certain to be decisive. "I'm going to ride it in training first just to find out how hard it's going to be,” he said. “There are a few mammoth stages in the Giro, but that's OK. I don't mind those." Thanks to reader Matteo for sending this image of a very early Cinelli advertisement from Spring, 1946. "...is it an ancient warrior? NO. It is the herald that announces to the crowds the arrival of the colt of steel, the Cinelli bicycle." Note "Firenze" under the herald. I noted that this herald also appears on the 1946 Giotto Cinelli engraved crankset that appeared in this article recently. My friend Marco, of I BIKE TUSCANY, writes in about his new electric bikes that will give those that might not do a bike ride otherwise a chance to do so. "We got your cards, we got your letters and we felt your pain when the only thing holding some of you back was your fear of the hills (however breathtaking they may be). But we are thrilled to say, "no more!" Concern for these vineyard, cypress and olive tree-covered beauties is a thing of the past thanks to our brand new, state-of-the-art 8 speed e-bikes. You will now glide nearly effortlessly through the rolling countryside, barely breaking a sweat as you simply relax and enjoy the scenery, cruising to wineries, castles, medieval villages and -- best of all -- places heretofore unreachable for all but the hardiest of bikers. Of course you'll still have to pedal, but trust us, it'll be MUCH easier. For those who prefer the old-fashioned way, and to work a little harder -- no problem. These bikes ride beautifully under your own steam entirely as well. Use the (silent) motor some of the time, all of the time or not at all. Or just for that last little push up the hardest hill. 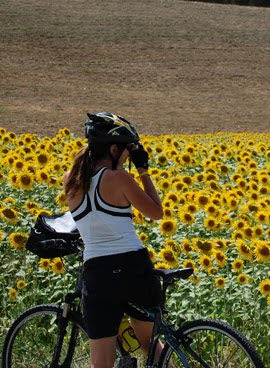 It's up to you, and therein lies the miracle of "Toscana in bicicletta" for all! If you can ride a bike you can do this." One of Marco's favorite rides is in the Val d’Orcia. Lance Armstrong decided back in October that he would race the Tour of California rather than the Giro d'Italia since the races now overlap on the calendar. 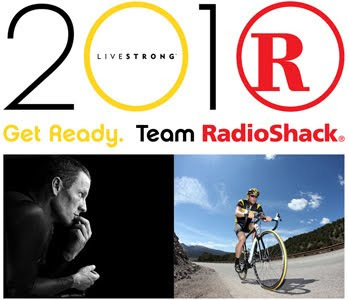 However, there remains a possibility that Team RadioShack may appear at the Giro. Johan Bruyneel said, "We are in talks with the organizers, RCS, but if we participate we will not have riders for the GC. The Tour of California is an important race for us, we'll choose the best formations to achieve the best results." Vera Carrara, former world champion (winning gold medals in the points race at the 2005 and 2006 World Championships)on the track, returns to racing but now in the world of mountain biking. She has a new goal: the 2012 London Olympics. "The motor exists, but I lack the technique," says Carrara who will be assisted by her compatriot Paola Pezzo, twice Olympic champion. "I love challenges: there are two and a half years to go to London, I can do it." Vera said. Carrara is in Chile for the TransAndes Challenge 2010 taking place from January 25th to January 30th, 2010. The TransAndes Challenge, six stages and 442.5 km, is similar to the format of the TransAlp Challenge from Mittenwald, Germany to Riva del Garda, Italy. No Horsing Around In This Race! 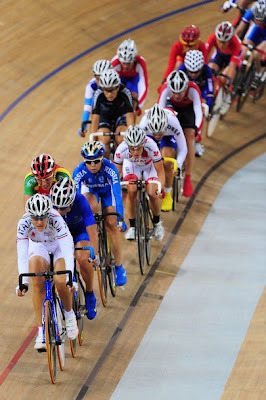 The velodrome of Montichiari (Brescia) was inaugurated on May 23rd. It is Italy's first covered velodrome which will be available on a permanent basis for racing and training. The track, and its timing system, have been approved by the UCI for compliance with all regulations for world-class racing. The track is 250 meters long, 7 meters wide and the banks are 45 degrees. The track is made from Siberian pine. "The Licence Commission has accepted the proposal made by the International Cycling Union concerning the registration procedure of the Lampre-Farnese Vini team. This proposal was drawn up in the best interests of cycling and to assist the riders and personnel of the Italian team in particular. 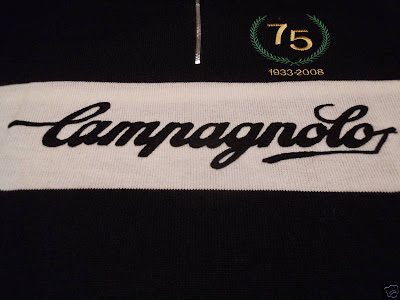 Consequently, the Lampre-Farnese Vini team has been granted provisional registration until 31 March 2010. If at this date the team's situation is considered not to comply with the regulations, a renewed request for the withdrawal of the Lampre-Farnese Vini team’s licence will be submitted to the Licence Commission." Within the last few days Pat McQuaid spoke about the case Lampre in an interview with the newspaper De Telegraaf, "If the financial situation is not in order on 31 March, the team will disappear. Ernst & Young warned them many times already: if they still have problems they would lose the ProTour license but they could also not even be accepted as a Professional Continental team. We gave them enough time, they know what to do to not be shut out." Direction Change for Granfondo Events? In the beginning granfondo events were much simpler, less competitive, events than they are today. As the events became gradually more and more competitive, with winning ever more important, the problems that arose grew as well: crashes, cheating, and even doping. 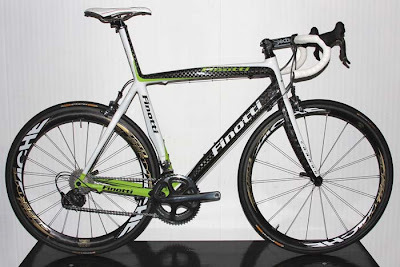 So, when Pinarello announced changes to the Granfondo Pinarello for 2010 everyone took notice. First, came the name change. The Granfondo Pinarello has been renamed to "lapinarello Cycling Marathon". Second, the format of the race has been changed significantly. The mass start is gone, replaced by a staggered "Francese" start; participants can start the race between 6:45 am and 7:30 am. The merit grids no longer exist. The General Classification is gone, replaced by the finishing times published only in alphabetical order of the riders' names. The only awards will be in the team category and for fastest times on the Monte Grappa ascent. Of the changes, Pinarello says, "As always, the security of our cyclists is a fundamental topic for the organizing committee. Race conditions have become excessively dangerous in the past few years, above all, the frenzy, excessive competitiveness and the lack of experience of many participants. Participating in a Granfondo should be a way to measure one’s self, in respect of the adverse and difficulty of the race ahead of them. The “aliquot or Francese” departure does not remove a rider’s choice to race with force and vigour, challenging hard climbs, the heat and the 200 kilometres of this challenge; though with this small technical adjustment, we allow each and every rider to enjoy the race as they did before, applying themselves in respect of their own limits and their companions on the road. And that’s not all: adopting this new mode of departure finally leads us to our final important objective, to start lapinarello in the heart of Treviso - the Piazza dei Signori. This solution renders the suggestive and fascination of this evocative race. It allows participants to live firsthand the beauty of a historic and charming piazza, such as this one." The highlight of this year's lapinarello will be the climb up Monte Grappa departing from the direction of Fietta, best known as the “Salto della Capra” (Jump of the Goat). This route is approximately 24 km in distance, starting from nearby Possagno (270 m a.s.l.) and finishing at the peak of Grappa (Cima Grappa – 1740 m a.s.l. ), where the Ossario Militare (Military Monument) is located. Half way up Grappa’s climb, the road steepens, with 3 km exceeding an average gradient of 20%, coupled by a panorama which will leave you breathless. Pinarello advises, "The climb is one which needs to be tackled with prudence and intelligence, in order to avoid being left ‘hung out to dry’ in the final kilometres towards the Ossario." The Giro d'Italia will also feature a Monte Grappa climb this year but the one in the lapinarello is more difficult (that make you happy doesn't it?). 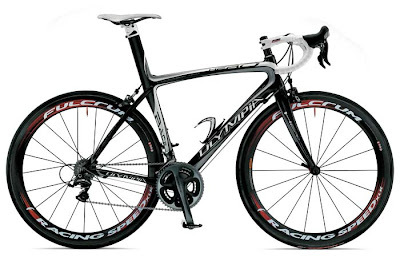 The lapinarello Cycling Marathon will be held July 18th, 2010. Registration opened on January 1st. I will, from time to time, translate articles that I think are of particular interest from their website. You can also find the link to their website in the blog roll below. 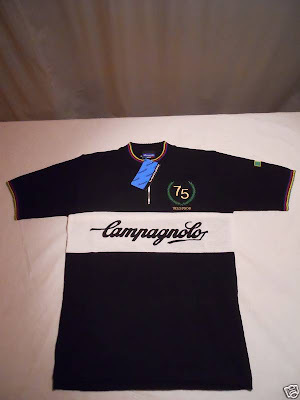 Truth is I like vintage bikes and Italian cycling history. I've come to learn that Cino Cinelli's Super Corsa bikes from the 60s and 70s are highly regarded and have a considerable following among vintage bike enthusiasts. It wasn't until relatively recently that I learned that one of his older brothers, Giotto Cinelli, actually began the Cinelli bicycle business in Firenze (where the Cinelli family is from). 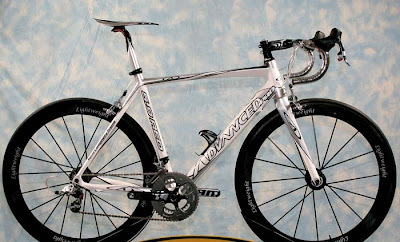 And, it was only this month that I saw a component made by yet another older brother, Arrigo Cinelli. 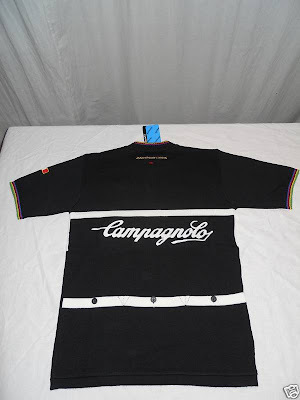 It's the only Arrigo Cinelli item I have ever seen. With that backdrop you can imagine my surprise when I received an email from a reader of this blog who sent in photos of his 1946 Giotto Cinelli, Campagnolo Cambio Corsa equipped, bike. The reader wrote, "Very little is known about these bikes. According to Andrea Cinelli (ed. note: son of Cino Cinelli), very few of these early bikes exist. But thanks to the Internet, at least two more have been found. My bike was restored in Italy back in the early 70s. 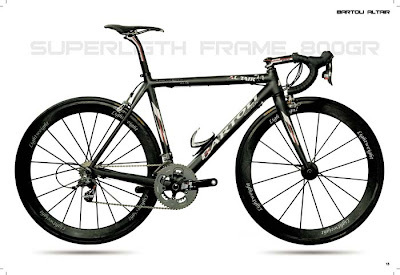 Unfortunately decals or pictures of Giotto Cinelli bikes with decals have yet to be discovered. Any information about the design of the original decals, or other Giotto Cinelli bikes, would be most welcome." Cino Cinelli moved the business from Firenze to Milano sometime in the 1950s. 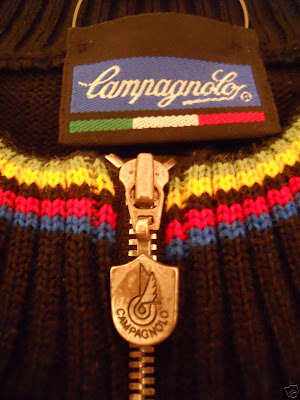 Photos: as sent by reader to ICJ; note the Giotto Cinelli headbadge with Firenze, and the G. Cinelli seat collar, and the Cinelli cranks (click on photos to enlarge). 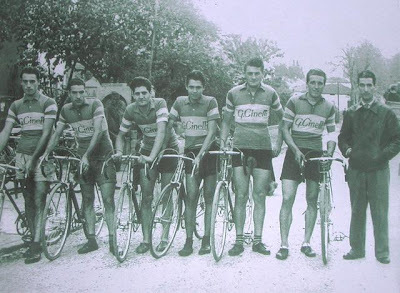 The last photograph is a rare 1946 "G. Cinelli" team photo, the only true complete team ever to be exclusively sponsored by Cinelli. Photo provided by Steven Maasland. "The news today of the death of Lino Gastaldello, owner of the Wilier company, has shocked the Lampre-Farnese Vini team. In this sad moment, all the cyclists, managers, staff and patron Galbusera would like to say farewell and thanks to Lino, good friend of the blue-fucsia colors who lived fantastic moments with the team. 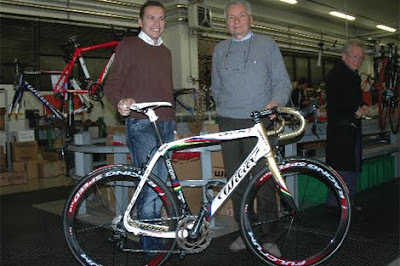 A hug to Gastaldello family and to Wilier company workers." 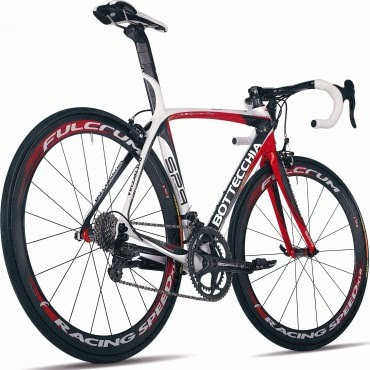 The 71 year old Gastaldello was killed when he was struck by an automobile while riding one of his Wilier bicycles. Our condolences to the Gastaldello family. How Much Are Your Riding Today? Just asking because Damiano Cunego, and his Lampre training group, rode 205 km today with 6 climbs included. 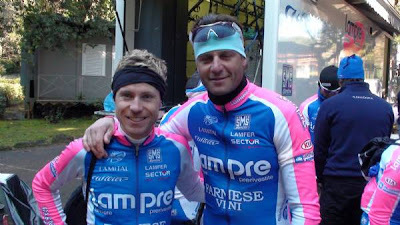 Petacchi's group did 200 km and four climbs. All near San Vincenzo. If you are doing/did less....well, then you need to get out there. 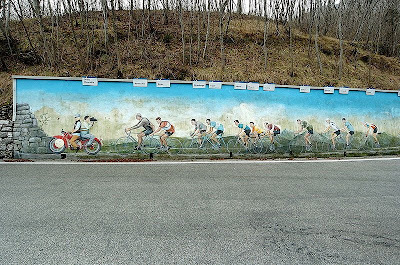 Jac Zwart, author of the Dutch language book "Wielermonumenten - Reisgids door de geschiedenis van de wielersport" (Cycling Monuments - Travel Guide through the History of the Sport of Cycling), contributes his fourth article, this time about the "Murale Mitilogico del Ciclismo". "Italy is famous for its wall-paintings, called fresco's. And because it's a bike-loving country as well, nobody will be very surprised that cycling is one of the themes. There are various locations where they have appeared and one of the most beautiful can be found alongside the SP36, the road from Bordano to Interneppo in the province of Udine. 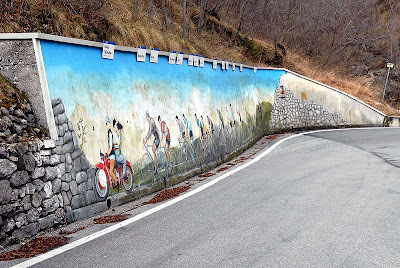 The "Murale Mitilogico del Ciclismo" was an initiative from the Museo del Ciclismo Alto Livanza in Stevenà. The painting is made by the artists Giuseppe Brombin and Floreano Franzil and was unveiled on May 25, 2006. The size is impressive, twenty meters wide with a height of three meters, and is located right after a hair-pin. 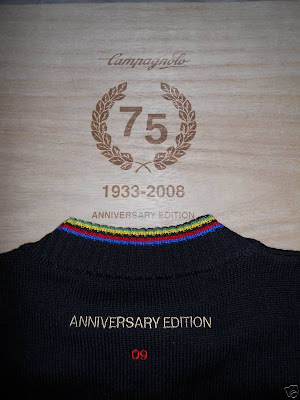 All the great champions of Italian cycling are present. Bottechia, Binda, Girardengo, Coppi, Adorni, Magni, Guerra, Bartali, Nencini, Gimondi, Moser and Pantani (unfortunately not visible in the photo) are easily recognizable, not the least because their names are displayed right above their heads. And that's where something might have gone wrong, at least in my humble opinion. I studied the photo in great detail and, looking at the figures and the characteristics of the riders they represent, I am still thinking that the names of Learco Guerra and Fiorenzo Magni have been interchanged. Right from Pantani is reporter Antonio Lot, one of the persons who took the initiative for the painting, with the microphone in his hands. Duilio Chiaradia, a pioneer in displaying sport events on RAI Television, rides on the motor, in front of the small peloton." 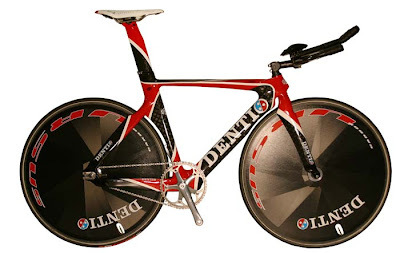 Photos for your viewing pleasure of some lesser known brands of Italian bikes, all of which you could find in any large granfondo. Some of these, such as Denti and Olympia, have long histories. Stories for the Italian Cycling Journal about rides, granfondo, having a good time cycling in Italy, Italian cycling history, etc. are very welcome. Contact me at veronaman@gmail.com. There are more than 1,100 stories in this blog. The search feature to the right works best for finding subjects in the blog and there is also a translate button at the bottom so you can translate each page. The Acqua & Sapone team presentation was held on Monday, January 18, 2010 in L'Aquila (AQ). 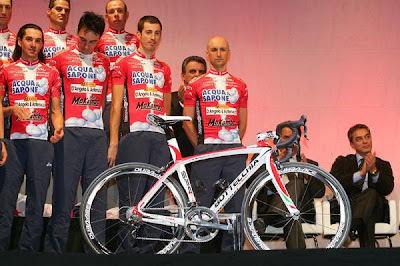 The team has dropped De Rosa and will be riding Bottecchia bikes for the 2010 season. Nice to see a great name in the races again. My understanding is that the "SP9" model will be used by the team. 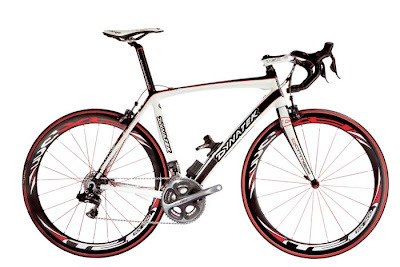 Photo: Bottecchia in team colors; standard SP9 which is available in 3 colors: white-red (shown), white-gray, and white-blue. 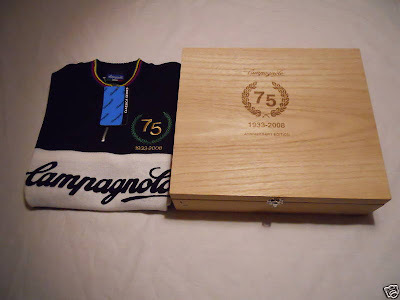 One of those rare, only 75 made, 75th anniversary Campagnolo jerseys has appeared on ebay at an eye-popping price. This is one is serial number 9. The ebay auction number is 200430671241. These jerseys were given to VIPs and were never sold. Museum: Museo del Ciclismo "Learco Guerra"
Granfondo Felice Gimondi, "La Felice Gimondi"